With the domestic pro road scene crumbling, riders sought support from each other, looked to other cycling disciples, or simply took a hike. There were days this past October when Travis McCabe’s training rides ended at his front door. McCabe would don his UnitedHealthcare team kit and venture outside, intending to ride long miles in the foothills just west of Denver, Colorado — his normal routine. Instead, McCabe would retreat back inside and spend the afternoon worrying about his future. His UHC team was set to disband in a matter of months and McCabe was without a job for 2019. At 27, he was perhaps the most versatile sprinter in the U.S. peloton, and he wondered if his cycling career was over. McCabe was not alone. Across North America, professional road riders adjusted to the grim reality that the 2019 domestic season was set to be the worst in decades — perhaps ever. In late July, news circulated that UHC would shutter after a fruitless season-long hunt for a new title sponsor. A few days later, Jelly Belly-Maxxis revealed that it, too, would cease operation if management could not ink a new deal. During the Colorado Classic, Canadian team Silber Pro Cycling then revealed that it was set to shutter. Two weeks later, George Hincapie’s Holowesko-Citadel Pro Continental team announced similarly bad news. When combined, 55 pro racing jobs were in jeopardy, with dozens of team mechanics, soigneurs, and team staffers also facing uncertainty. For many of these riders and staffers, this story has a happy ending. In the final weeks of 2018, a number of teams found lifesaving sponsorship agreements for the coming season. Hincapie Racing inked deals with Arapahoe Resources and BMC; Floyd Landis funded a new team built from Silber; even Jelly Belly director Danny Van Haute found a new sponsor to continue. Numerous jobs were saved. Yet the fall of 2018 saw many of North America’s professional cyclists contemplate their respective places in the sport. Some riders emerged with jobs, while others chose to retire. Everyone faced a familiar series of emotional and personal hurdles that will likely shape their respective outlooks on the sport. Few pro cyclists leave the sport on their own terms; a crash or injury often forces a rider to quit before he or she is ready. In North America’s infamously fragile racing scene, unexpected economic dynamics — the shuttering of a team, the influx of cheap new talent — also force riders out of the sport. So when Jelly Belly riders learned at the Larry H. Miller Tour of Utah that the team’s longtime sponsor was pulling out, everyone understood the severity of the news. Across the domestic peloton, riders reacted to new of each team’s demise in a similar fashion; many sprung into action with immediate outreach to agents and managers at other teams. Wolfe called his coach and then began emailing team directors to inquire about open positions. When Grant Koontz learned that Holowesko-Citadel had dissolved his contract for 2019 due to its sponsorship woes, he cast his net both domestically and overseas, emailing team directors he had never met. For other riders, the outreach was less frantic yet equally stressful. UHC riders learned in January 2018 that the team’s sponsorship was set to end, giving them months to secure jobs for the future. McCabe also did not stress in the early months. He had won big races against world-class sprinters, so surely he would find a job. It was news of Holowesko’s potential demise in September that changed his mindset, he said. “That was the real ‘oh s—t’ moment,” McCabe said. Rushlee Buchanan said her outreach for a 2019 contract gradually turned into disappointment as the year went along. 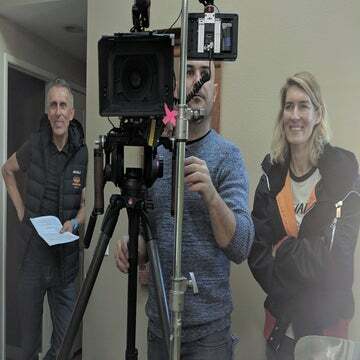 A sprinter on UHC, Buchanan reached out to multiple teams, however, her proposed racing schedule had a caveat; she wanted to balance her goals on the road with her desire to qualify for New Zealand’s Olympic track squad for 2020. The dual goals meant she would have to spend much of the year in New Zealand. As the months wore on, Buchanan was dismayed when her outreach turned up empty. Team managers, she said, didn’t even return her emails. The American peloton’s tight social circle became increasingly important for riders as they searched for employment. All of the riders who spoke to VeloNews said they relied heavily on friends and teammates within the sport for guidance, companionship, and even commiseration as the fall progressed. 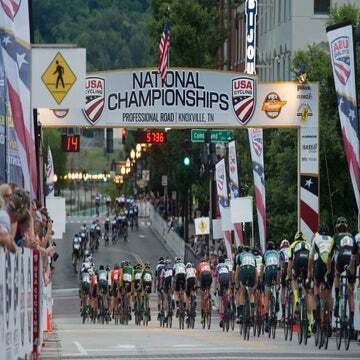 Multiple riders said their conversations frequently focused on American cycling’s current business climate, and whether the team-focused road racing model is still viable in the current climate. They asked each other familiar questions. Does gravel cycling or mountain biking present better opportunities to earn cash from pro racing? Was it best to wait for a team contract, or to start something new? Indeed, some riders sought out such opportunities. Wolfe’s teammate, Taylor Shelden, decided to end his road racing career and instead created a mountain bike racing program with sponsor Tokyo Joe’s. For 2019 Shelden will race fat bikes, gravel, and endurance mountain bike events. Yet there were those riders who had to find other ways to overcome their personal disappointment. Koontz found himself out of a job just months after inking his first professional contract, a milestone that had given him immense personal confidence. When Koontz’s outreach proved fruitless, and he realized he would have to return to the amateur ranks, he turned to a sports psychologist for guidance. Lachlan Norris grabbed his backpack and headed to the Pacific Northwest in the weeks following the Colorado Classic, the final race of the season. During his 11-year professional career, Norris had seen polar opposite sides of the sport. He raced in the WorldTour for HTC-High Road in 2011 and was almost left jobless when Drapac merged with Cannondale in 2016. Norris’s 10-day backpacking and mountain biking trip took him deep into the Cascade Mountains and up through British Columbia. Throughout the journey, Norris came to peace with a decision he had made during the frustrating final weeks of the season. At 31 he was ready to retire from the sport. Throughout the fall, riders faced experiences like this that helped shape their future plans—retire or continue to seek a job in the sport. When her team search came up empty, Buchanan decided to pursue her Olympic track dreams at home in New Zealand. Wolfe said he never thought about retiring, and simply kept searching for a job. Eventually, he secured a spot on the new-look Arapahoe-BMC squad. Koontz raced the Vuelta Costa Rica on a Guatemalan composite team and resigned himself to race in North America’s amateur ranks in 2019 with the goal of traveling to race in Europe. For Putt, the decision to continue came after he readjusted his expectations. Throughout the first half of 2018 Putt said he refused to take a step back in his career — he wanted to keep racing at the UCI Pro Continental level. As the months wore on, however, Putt said he continually lowered the bar. 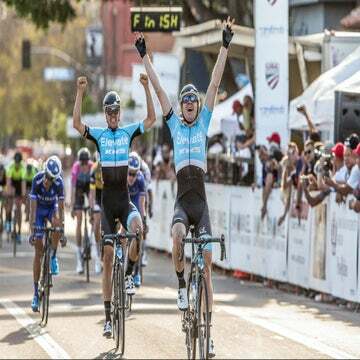 He told himself that UCI Continental was OK, and finally, he told himself that even racing at the amateur level was suitable. Like Wolfe, Putt eventually secured a spot on the Arapahoe-BMC squad for 2019. McCabe says his personal journey included plenty of self-reflection and moments when “you feel like a total failure.” Like Putt, McCabe adjusted his salary expectations and accepted that his racing program would likely take a step back. He said several teams showed interested in him, and he eventually chose to race with Floyd’s Pro Cycling, in part, because of the team’s openness to racing gravel and mountain-bike events. The final decision to keep racing, McCabe, said came during a training ride the day before Thanksgiving.